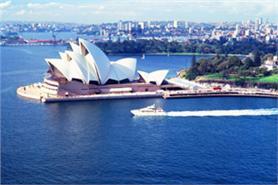 Sydney is to host the international five-day Robotics Science and Systems (RSS) Conference in 2012. The RSS Conference is expected to attract 400 delegates to Sydney to explore the latest developments in the robotics field, particularly the algorithmic or mathematical foundations of robotics, robotics applications, and the analysis of robotic systems. The event is estimated to generate an estimated $1.7 million for the New South Wales economy. Convention bureau Business Events Sydney (BESydney) worked with local bid leader Professor Hugh Durrant-Whyte from late 2010 to secure the conference for the harbour city. This will be the first time the event is to be held in the Asia-Pacific region. "Securing the RSS Conference for 2012 is a great acknowledgment of the wealth of our local talent and intellectual capital in Sydney," says Lyn Lewis-Smith, Acting Chief Executive Officer, BESydney.